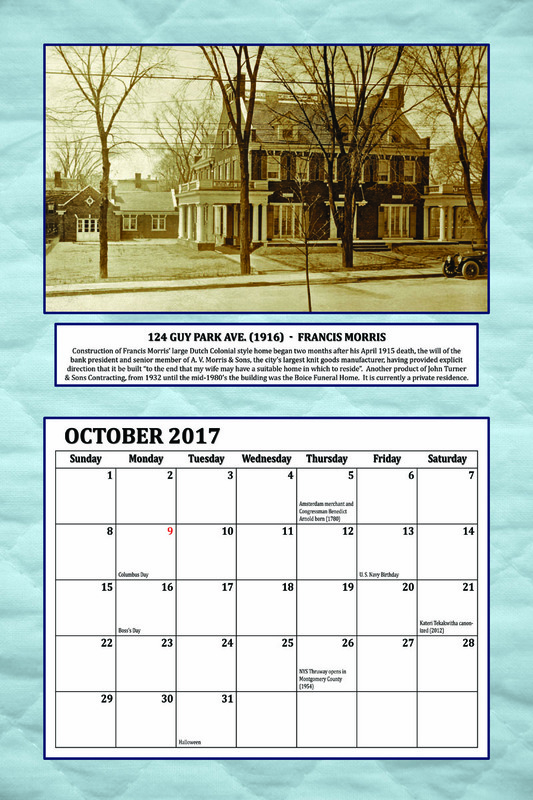 Calendars will be on sale while supplies last – but don’t delay, some year’s Icons have sold out by New Year’s. 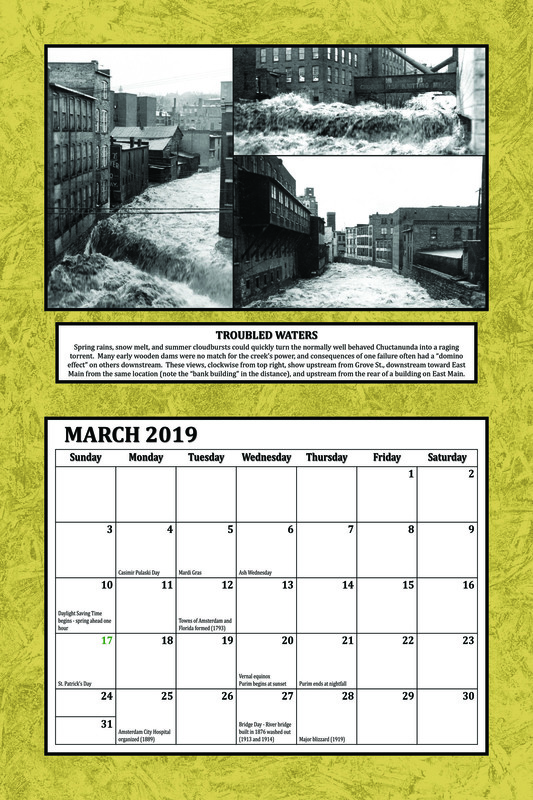 Take a year long journey with HAL as we “Follow the Chuck”, and along the way discover when to set your clocks ahead, that ice storms can happen in July, and enough local trivia to win a friendly bet or two. 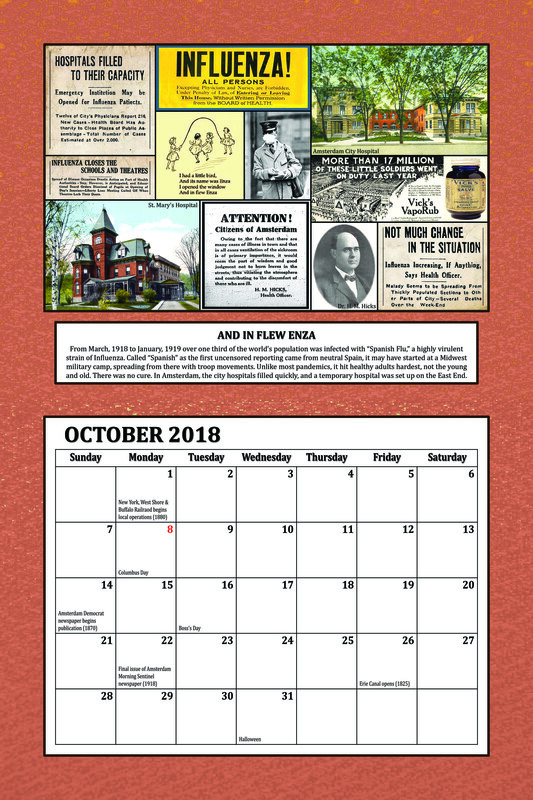 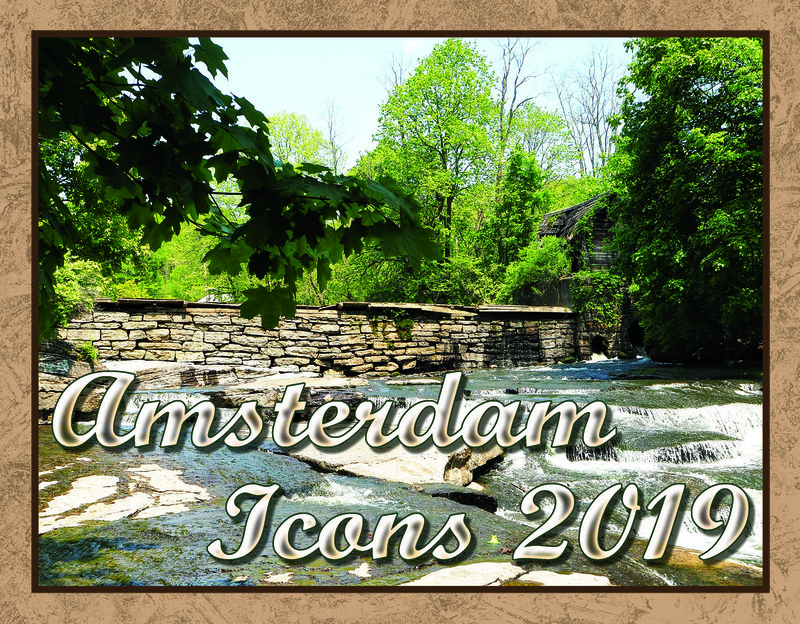 If you live outside the area, just prefer to have your calendar mailed to you, or would like to have us send Amsterdam Icons 2019 with a greeting as a gift in your name, calendars may be purchased by mail directly from HAL for $15.00 each , first-class postage, handling, and tax included, by mailing your order and payment to the Historic Amsterdam League, PO Box 132, Amsterdam, N.Y. 12010. 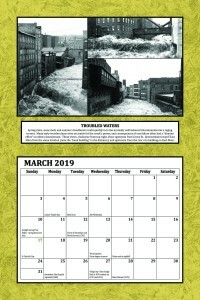 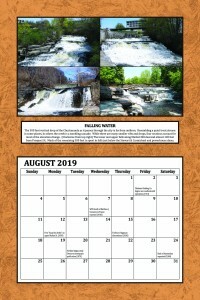 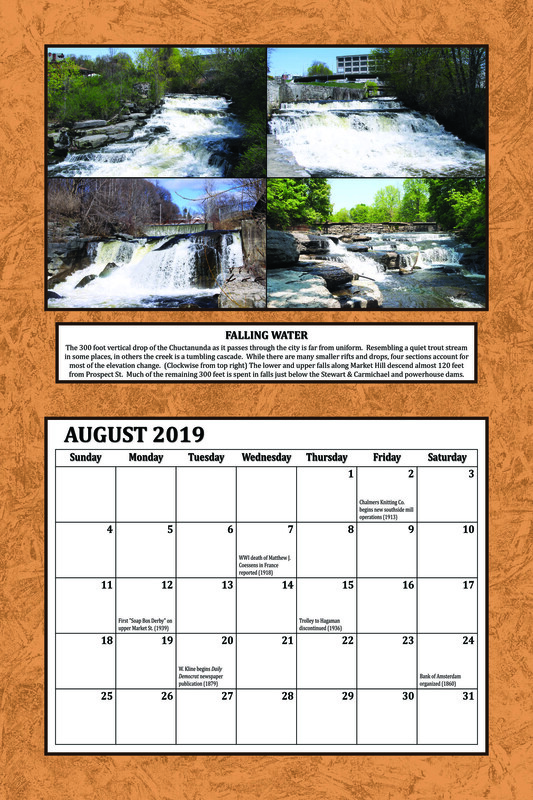 Note: Please contact us prior to ordering for a quote for multiple calendars shipped to the same address as postage may be lower. All proceeds from the sale of Amsterdam Icons 2019 will be used to support Historic Amsterdam League projects and local historic preservation efforts.